Utilize data from the data.pa.gov open data portal, or Agency Use Cases below, to generate ideas that will enhance public engagement, increase transparency into trending of state data for greater innovation and use of technology. The collaborative tools listed below will assist you in database connectivity, visual analytics, calculations and more. 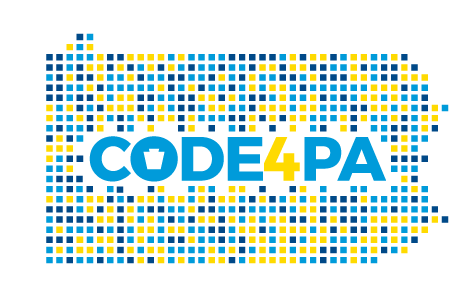 Our Slack Channel, code4pa.slack.com is available for questions anytime between now and October 20th, 2018. You will be added upon registration. The opioid overdose epidemic is the worst public health crisis in Pennsylvania, and the nation, in almost a generation. The Wolf Administration takes an all-hands-on deck approach to prevent the disease from happening, rescue those suffering and get Pennsylvanians into treatment. This dashboard provides data behind Pennsylvania’s response to the crisis. Prompts or Ideas to inspire your work on a prototype tool or process. For any questions, please contact code4pa@tableau.com. We’d love to capture your idea for a prototype product. Fill out the form below. We’d love to hear your scenario!